I had a few trips this past week and some really good fishing on flats around Key West. A couple of cloudy, windy days and a few strong showers earlier in the week have contributed to a significant drop in water temperatures. 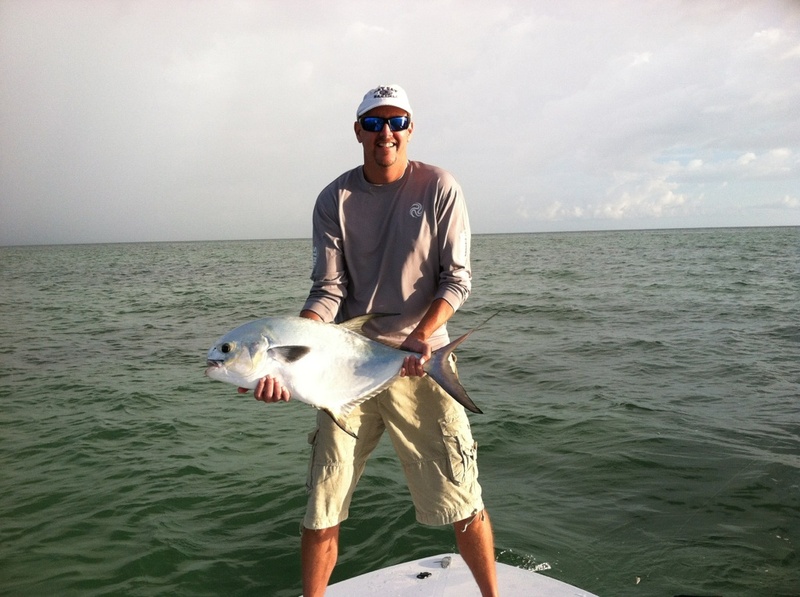 It seems our fish, permit especially, have taken a liking to the cooler water temps on the flats providing lots of action for my anglers. I've been finding plenty of permit and bonefish and few tarpon on the flats and the channels and basin have been loaded with jacks and ladyfish. My anglers caught a few sea trout and decent mangrove snappers as well. We used a couple of the ladyfish Friday afternoon for shark bait, hooking 10 lemon sharks all over 5 foot in length.